We have never received a single complaint on the quality of services. We are certified for calibrating length, pressure and angle gauges. Besides accredited fields, we also calibrate stopwatches, spirit levels, measuring tapes and radius or threaded templates. 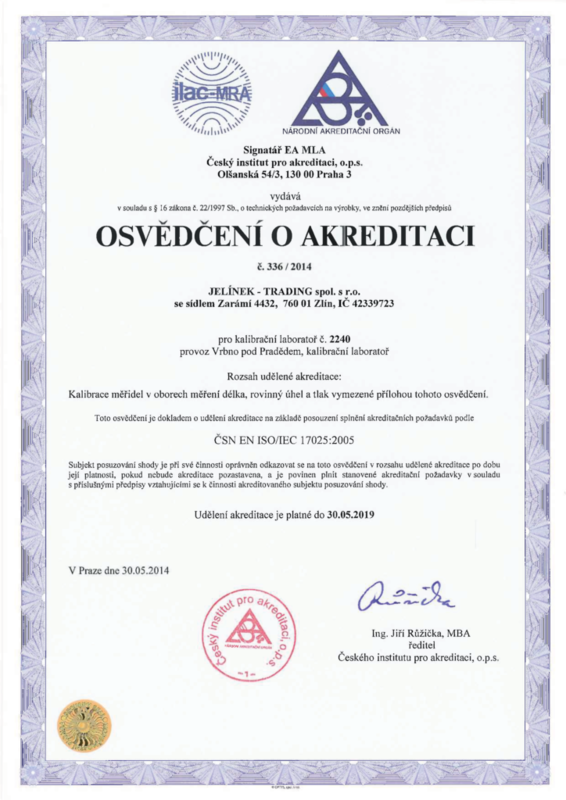 We are happy to assist you in meeting ISO and other standards. and we will return it to you perfectly calibrated with a certificate.